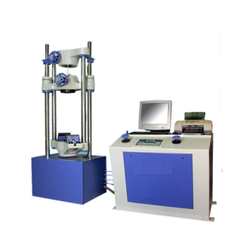 We are involved in the manufacture and trade of Erichsen Testing Machines, which has a big handle and the intermediate gearing, which ensures easy pressing and swelling out of the charged sheet metal by the punch. It is easy to get the pointer to zero as the top of punch and furrow holding plane are always kept to coincide by measurement correction panel. 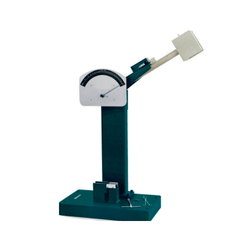 We manufacture and trade Impact Testers, which is designed as per IS standard & Charpy/Izod & Impact tension calibrated scale with different stickers. These are widely used for laboratory testing and is available at industry leading prices to our clients. Banking on our enriched industry experience, we are engaged in manufacturing and exporting a huge gamut of TensileMachines. Our engineers design these machines by employing sophisticated tools & types of equipment and finest grade raw materials. 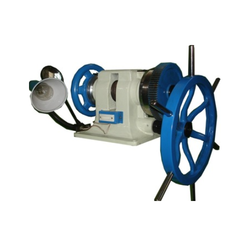 These machines are specially designed for testing the springs for industries, electrical purposes, mechanical usage, etc. TheseMachinesare provided to our clients in varied technical specifications. We are a prime manufacturer, supplier, exporter, and trader of a huge gamut of Tensile Machine. 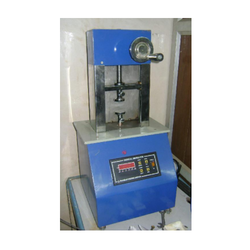 These machines are manufactured using optimum quality components and advanced technology. 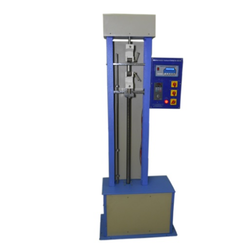 These machines are widely used for determining the tensile strength and elongation of ferrous & non-ferrous material. Our range of Tensile Machine is best acknowledged for its features such as rugged construction, high performance, long operational life and so on. Our range of machine is in sync with all the set quality norms of the industry. Weld qualification (tensile, charpys, bends ­root bend, side bend & face bend). Looking for Lab Testing Equipments ?